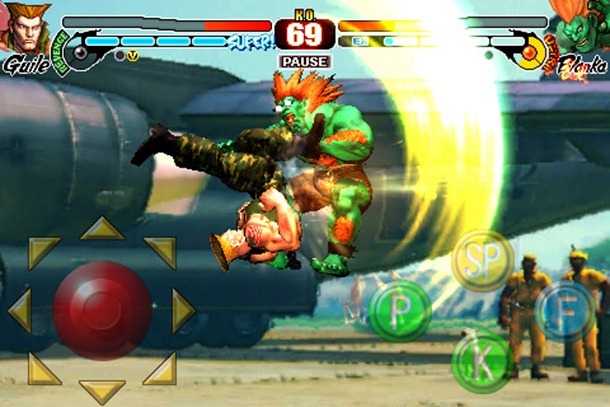 A mobile version of Street Fighter IV already exists for Apple‘s iDevices, but Android users will soon be able to get in on the fighting game action as well. Capcom confirmed today in a press release that the 2009 console and arcade hit should be arriving on Google OS-powered devices sometime before the end of this year. It won’t be available on all Android devices, however, at least not initially. Capcom has partnered with LG in an exclusivity deal that will restrict the game to the company’s “first HD Android smartphone.” No model is identified specifically, but that description would seem to indicate that the LG LU6200 will receive the launch honors, hanging onto exclusivity for three months. The unreleased phone will come packing a 4.5-inch screen with a 1280×720 resolution, a 1.5GHz dual-core processor, 1GB of RAM and Adreno 220 graphics. Simple math tells us that if this is indeed the SFIV launch phone, we’ll be seeing the LU6200 before the year’s end as well. Capcom confirmed nothing more than the existence of the mobile port in its press release, so it’s still not clear what the price is or whether the non-LG exclusive release will support tablets as well as smartphones.